Ideal for winding down in the evening. Surviving winter is all about warming up from the inside out -- we're talking eating delicious comfort foods, gooey desserts and drinking endless cups of hot chocolate. And hibernating. But if you're after a caffeine-free way to unwind after a long day, try golden milk (or 'turmeric tea'). Turmeric is a yellow root, which is part of the ginger family, and is typically sold in powder form to add to curries and stews. The spice is also perfect for adding colour, flavour and health properties to hot drinks -- minus the caffeine. While it's no cup of coffee, the presence of both caffeine and theobromine means cocoa can provide a modest caffeine boost, particularly for those sensitive to the compounds. It's for this reason that turmeric tea, or another herbal tea like chamomile, may be a better option if consumed before bedtime. Properties in turmeric means the spice has anti-inflammatory, powerful antioxidant and cardiovascular protective health benefits. 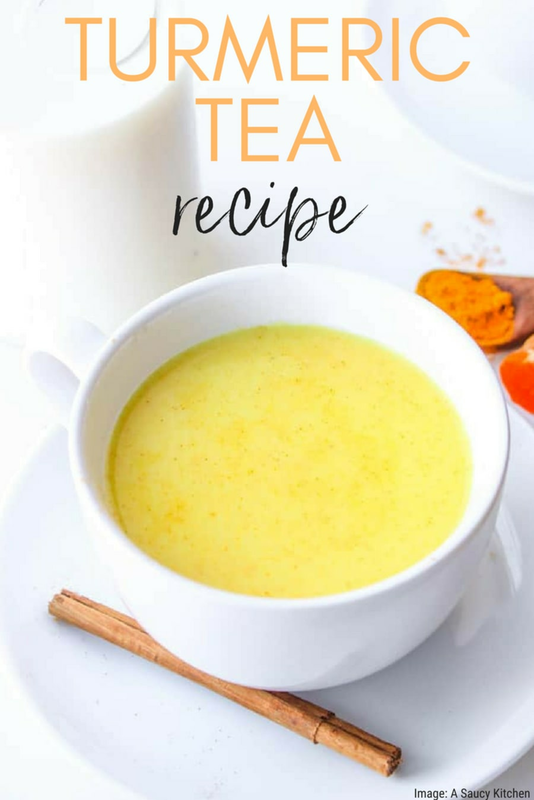 When combined with coconut milk, ginger, cinnamon, sweetener and a pinch of black pepper (to increase turmeric's bioavailability), turmeric becomes a spicy, warming and delicious winter drink. The next time you need a warming evening drink, try A Saucy Kitchen's golden turmeric milk or Jessica in the Kitchen's pumpkin spice golden milk recipe. They're easy, quick and just like a hug in a mug.